Planning green weddings doesn't mean ditching a country house for a muddy field or scrimping on style. Use these seven tips to plan an eco-friendly wedding you'll love. Your very first look into wedding stationery might leave you dizzy with a hundred and one options and things to order. Don't. Yes you can send out save the date cards to everyone, printed invitations, inserts, bellybands and more, but do you really need to? Save the dates can easily be sent by email, reducing your paper usage and therefore protecting trees. Likewise, you could set up a wedding website to provide all your invitation information and on the day, your printed menus can be exchanged for one huge chalkboard. If you do want to use some paper stationery, look for suppliers who source materials sustainably or use recycled paper. You can even find stationery with seeds bound into the paper, which can be planted later. All of these things can help you achieve a more eco-friendly wedding. Wedding favours have long been a conundrum for couples. They're an additional cost that you don't want to find left on tables at the end of the night. Challenge yourself to choose favours that make a difference. 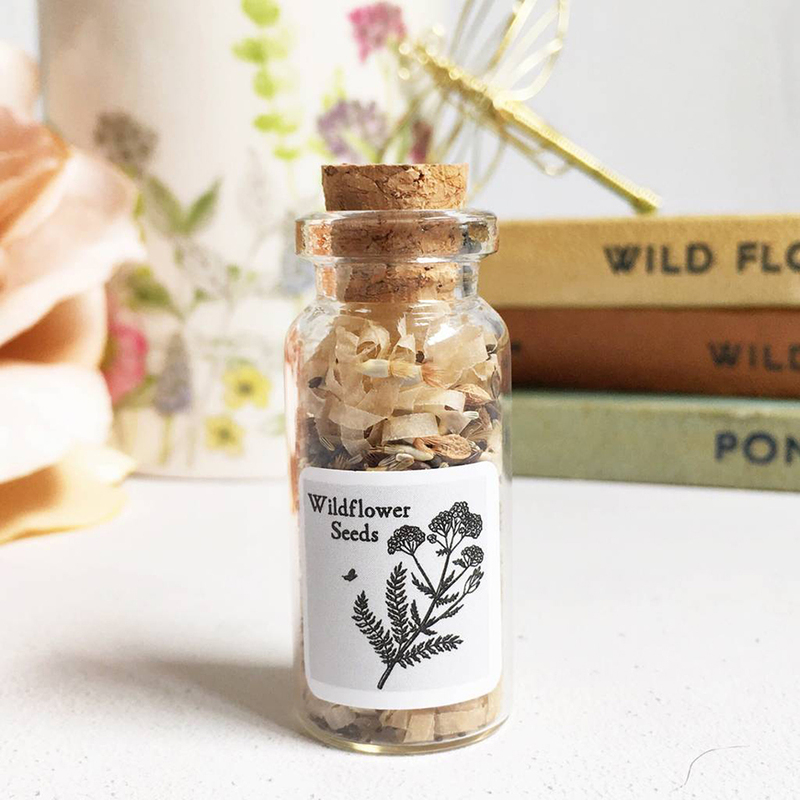 You could give everyone a packet of wildflower seeds or donate money to a charity like the Woodland Trust. 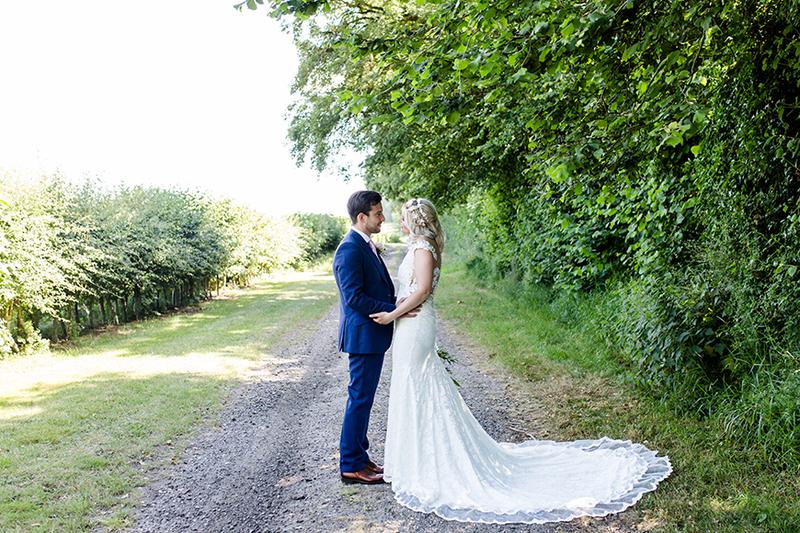 Some venues will even help you do it – Cheshire’s Combermere Abbey plants a tree for each couple who marries there. If you do choose more traditional favours, think carefully about how they're packaged. Card trumps plastic every time. Small gestures like this add up to a significant difference as more people embrace green weddings. Why ask a wedding photographer to travel 300 miles to your venue when you could find someone similar much more locally? 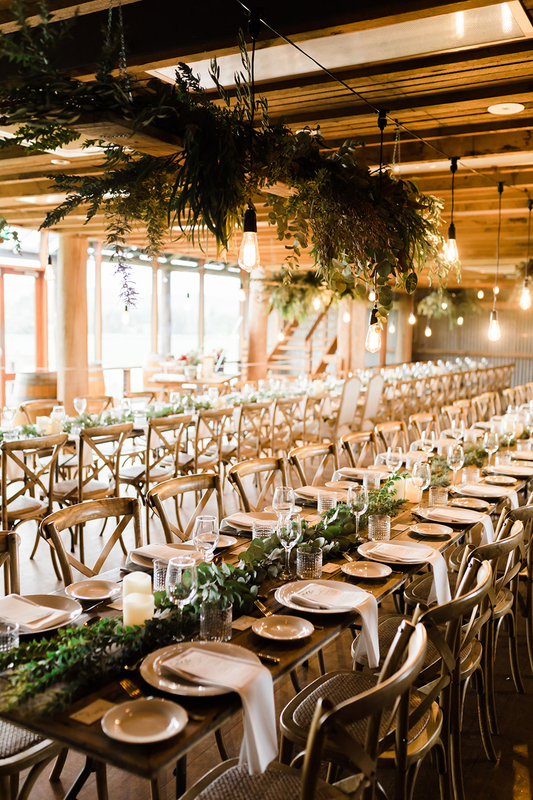 Eco-friendly weddings come into their own when created by a team of local suppliers - there'll be less travel involved and often more locally sourced materials, too. 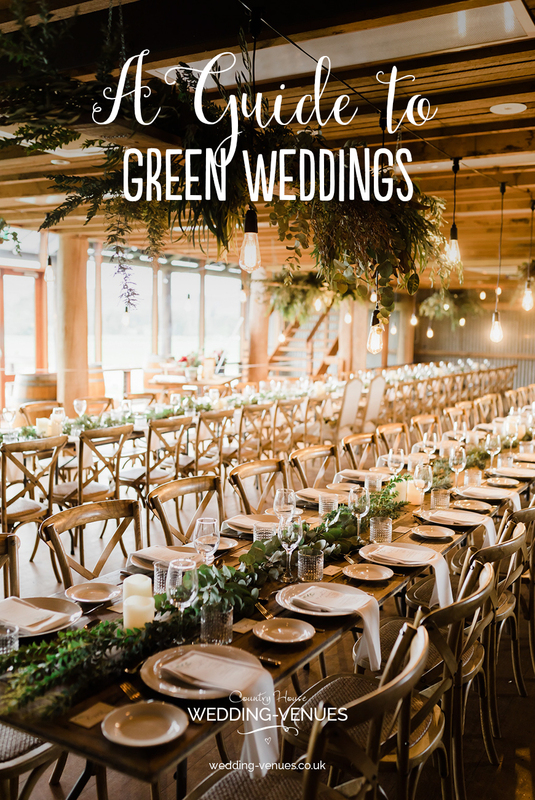 When planning your eco-friendly wedding, shortlist venues in a set area and visit as many as you can across one long weekend. Our handy search by county and region tools make this easy. This will reduce your carbon footprint from time on the road and avoid you repeating the same journeys. Any wedding venue that can cater for your ceremony, reception and overnight accommodation will immediately reduce your impact on the environment. Why? 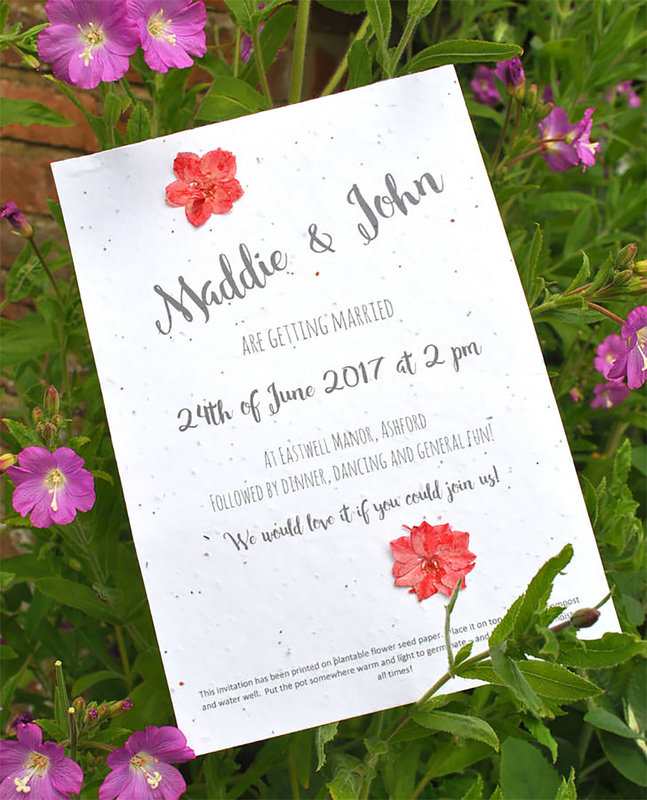 Because not only are you not printing map inserts to direct your guests from A to B, you're also not making that second (or third) journey on your wedding day. That means fewer cars on the road and lower emissions as a result. 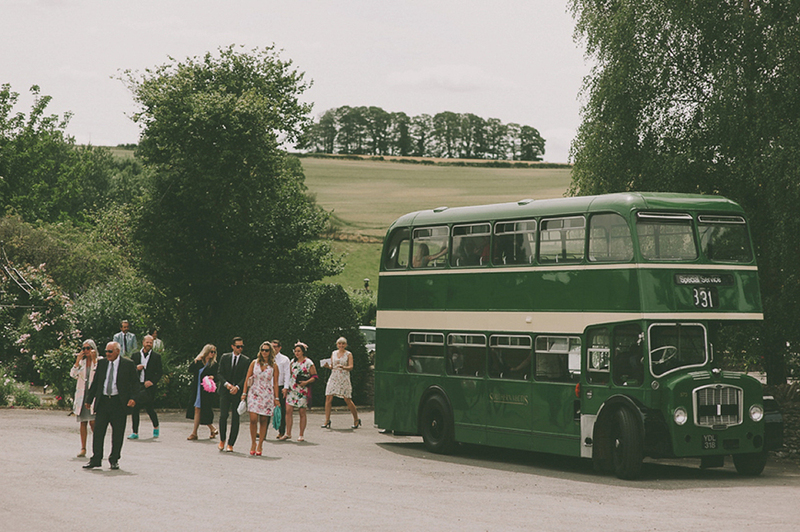 If you do have to travel between two venues, consider hiring a vintage bus to move your entire wedding party to your venue in one fell swoop. When you sit down with your caterer or wedding venue team to plan your menu, ask whether they do or can use local suppliers. Local growers will provide you with exciting, seasonal ingredients. This instantly reduces the food miles involved and gives you fresher, more exciting flavours to boot. The same principle applies to your flowers for green weddings. Choose British-grown blooms to reduce your carbon footprint. Anything else will have been flown in, often from Holland but sometimes as far as Alaska! 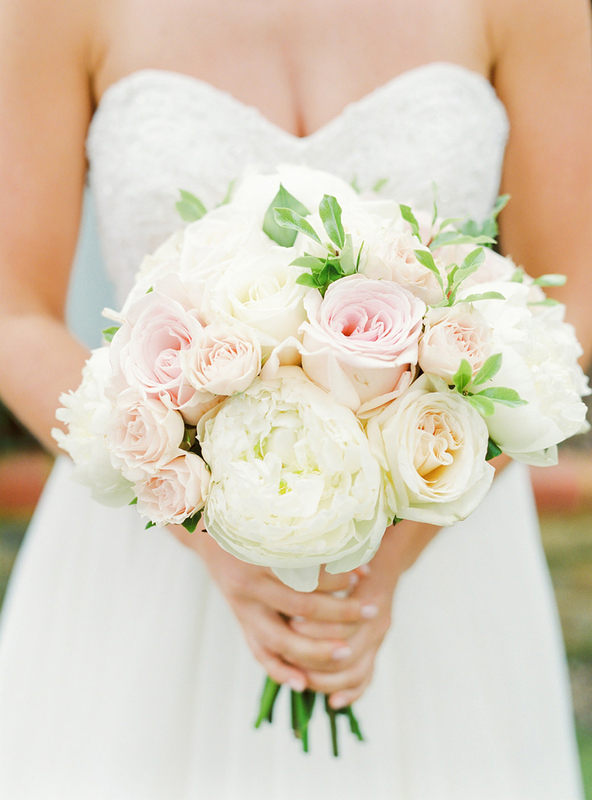 Seasonal, British flowers can still create a dreamy bouquet. Think peonies in June, dahlias in September, hellebores in December and roses for most of the year. On the food and drink, the flowers or the decorations, especially when they are only suitable for a single use. Channel the ethos that just enough is just right. Achieving zero waste weddings will probably require the expert help of an eco-friendly wedding venue and planner. But, reducing the elements of your wedding that are leftover is a step in the right direction. It could save you money, too! It's more than likely that you'll rack up some serious air miles on your honeymoon, especially if popular destinations like the Maldives have caught your eye. Think about what you can do to offset the carbon footprint of this travel. Could you find a resort that has sustainable practices in place once you arrive? How about investigating tree planting schemes to offset your air travel? Alternatively, why not consider honeymooning closer to home. 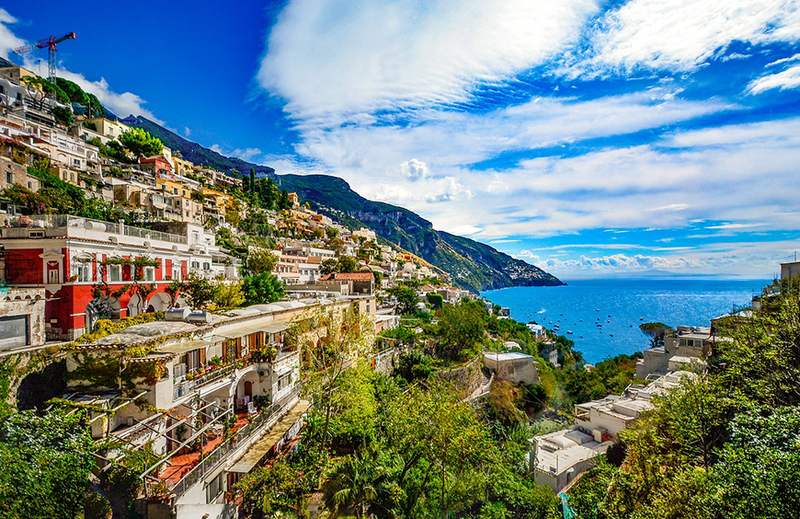 There are some sizzlingly good short-haul destinations (Amalfi Coast, we're looking at you), as well as some real gems without even leaving British shores. Make sure you tick off ideas for green weddings every step of the way with our wedding planning timeline.